Pencil on paper, 14.5x19 cm. 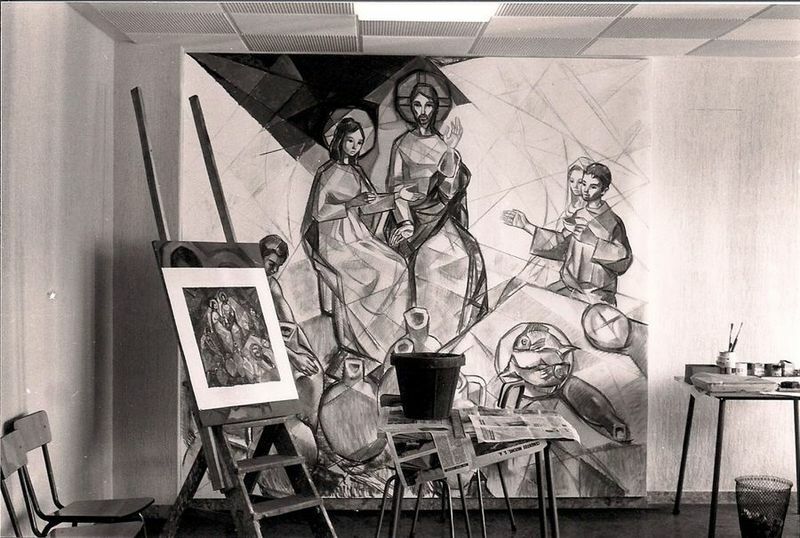 Sketch for the mural drawing of the swimming pool at the Marcet factory. Drawing on paper, 94x55.5 cm. 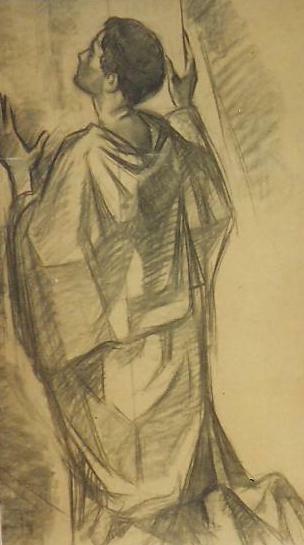 Charcoal on paper, 1953-1956. 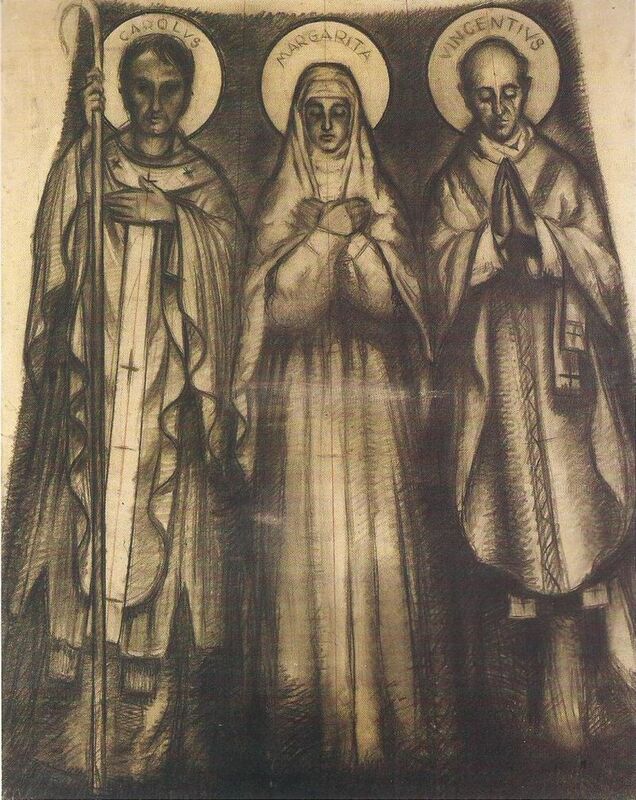 Sketch for the church of Sant Feliu del Racó, 124.5x45 cm. Dominicus and Antonius Claret, 1958. Drawing on paper, 77x33 cm. 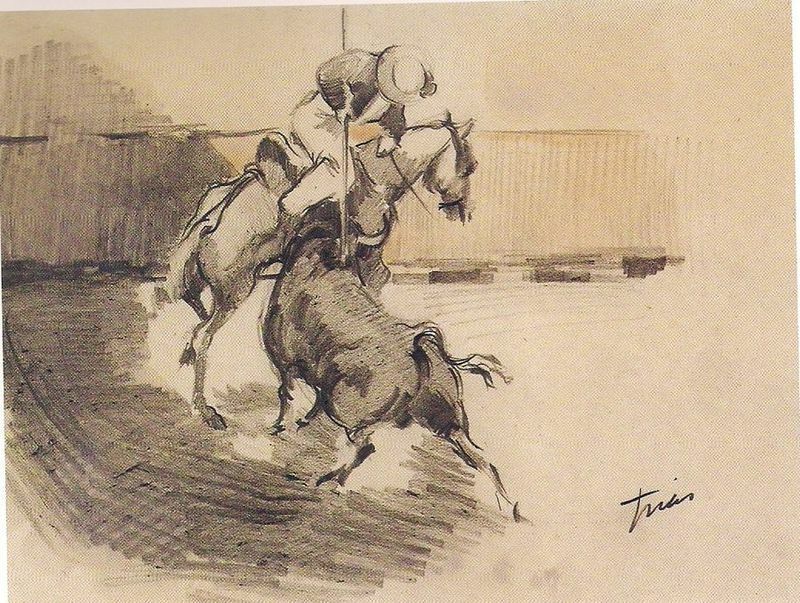 Charcoal on paper, 1958. 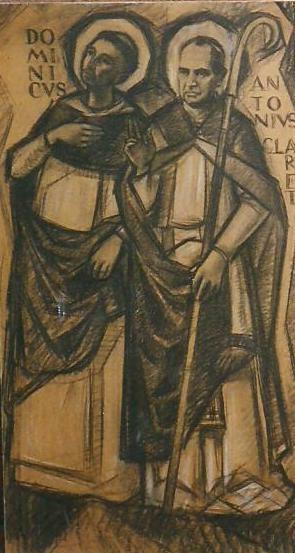 Sketch for the Church of Sant Llorenç Savall, 133.7x60 cm. 1953-1956. Sketch for the Church of Bellaterra. Charcoal on paper, 76.5x54.5 cm. Charcoal on paper. Sketch for the main altar of the church of Sant Feliu del Racó, 119x171 cm. 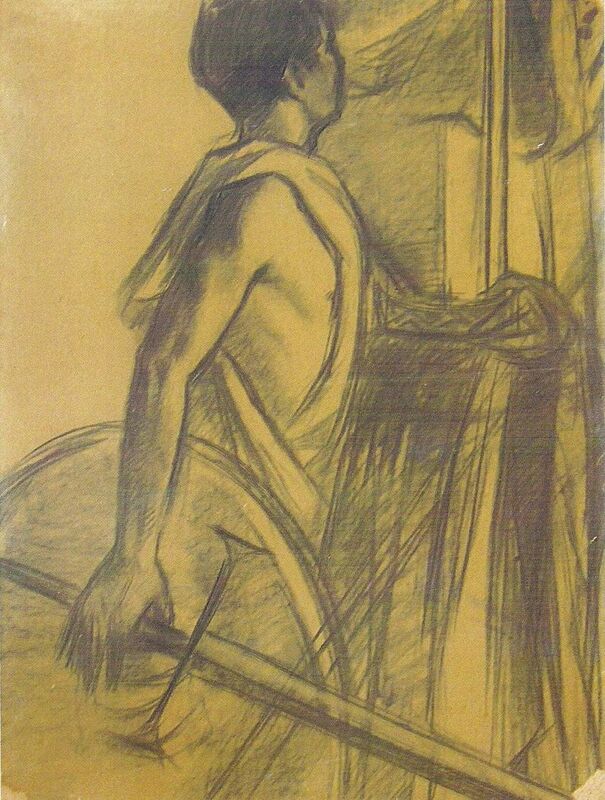 Charcoal on paper, 1953-1956. 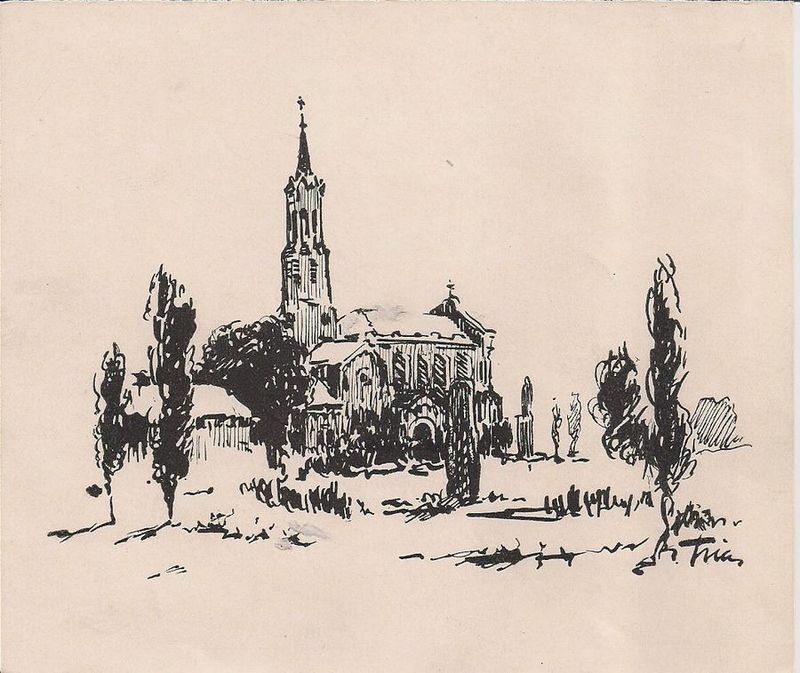 Sketch for the church of Sant Feliu del Racó, 126x42 cm. Charcoal on paper. 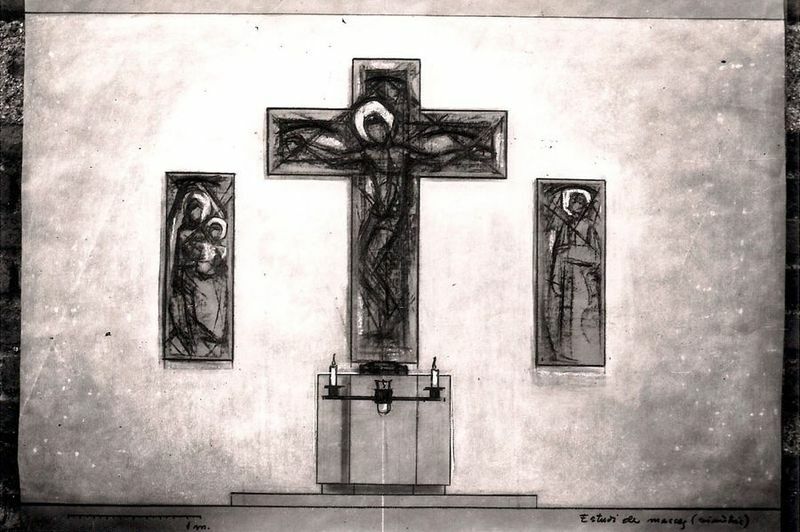 Sketch for the church of Sant Feliu del Racó, 1963. Charcoal on paper. Sketch for the church of Santa Creu of Bellaterra, 94.5x56 cm. Charcoal on paper, 1960-1961. 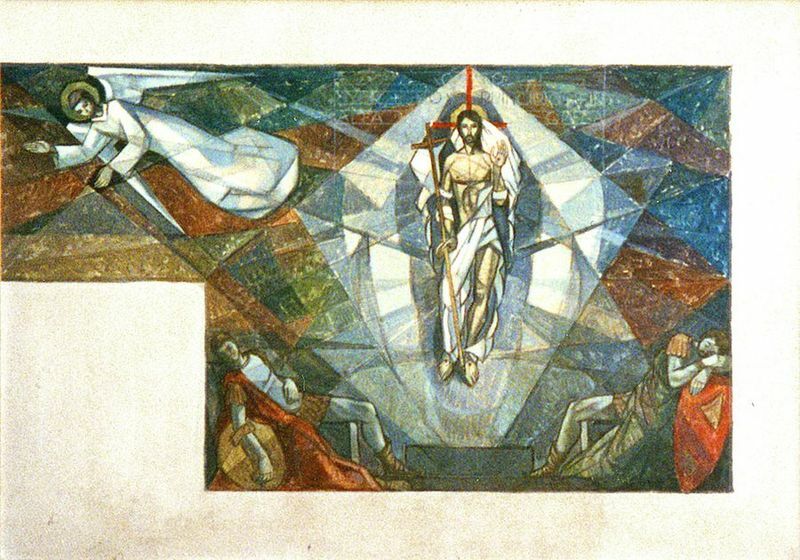 Sketch for the stained glass window in the church of Sant Oleguer, 149.5x68.5 cm. Charcoal on paper. 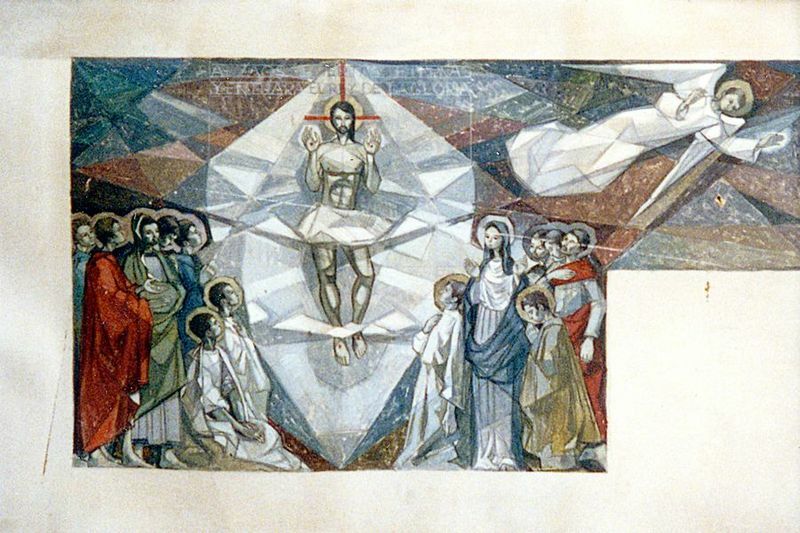 Sketch for the apse of the church of Sant Feliu del Racó, 134x100.5 cm. 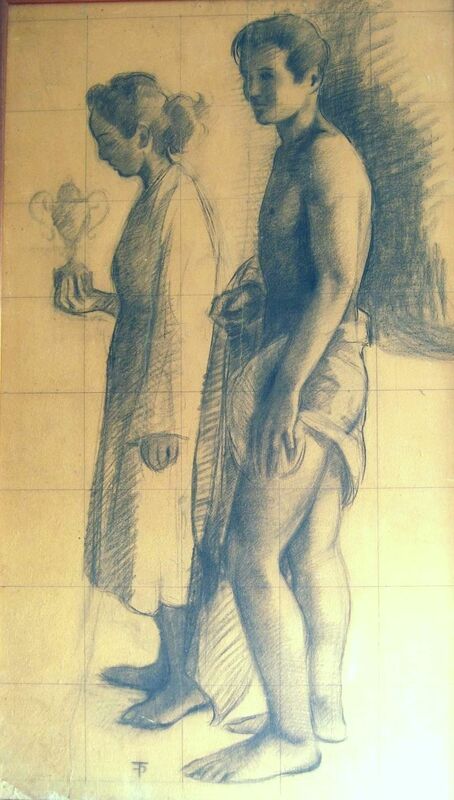 Charcoal on paper, 1953-1956. 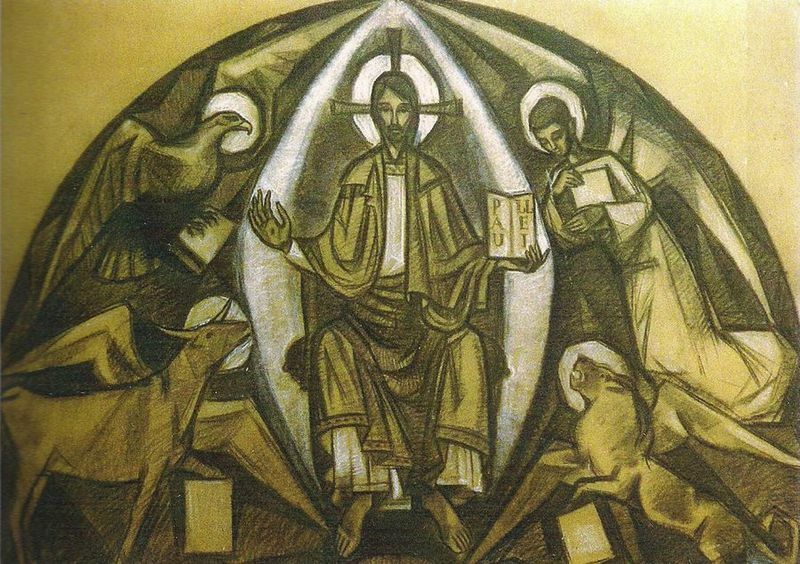 Sketch for the apse of the church of Sant Feliu del Racó, 126x100 cm. 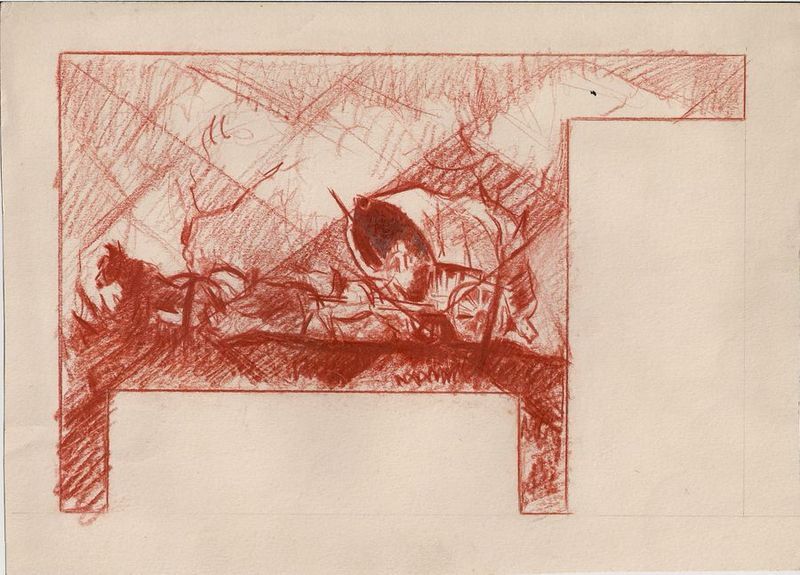 Watercolour on cardboard, 1965-1966. 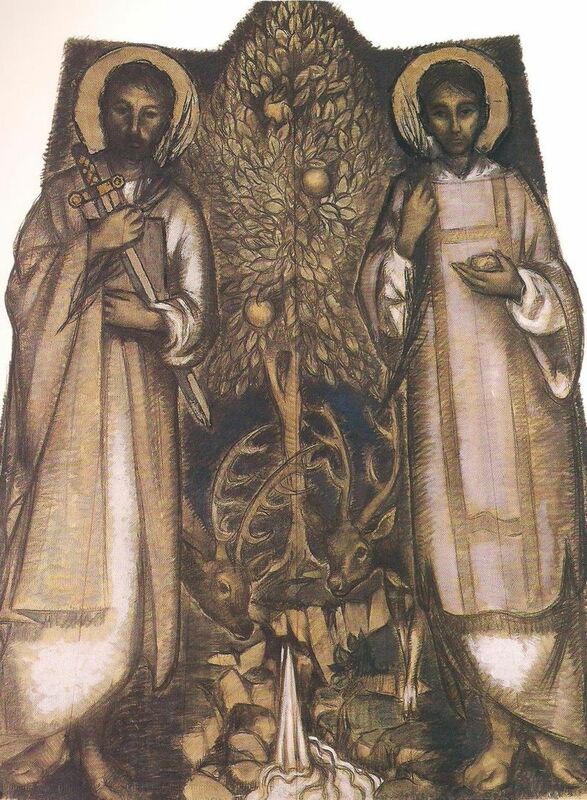 Sketch for the entrance doorway to the Church of the Salesians of Barcelona, 69x33 cm. Charcoal on paper, 1963. 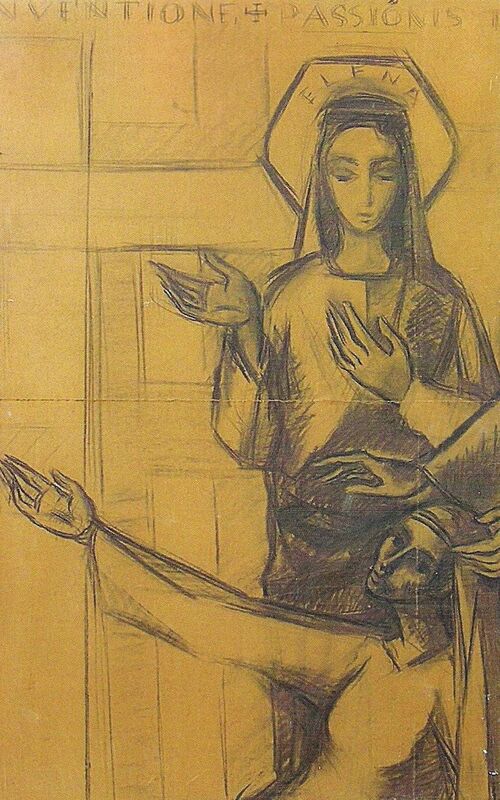 Sketch for the church of Sant Feliu del Racó, 148x59 cm. Charcoal on paper, 1960-1961. 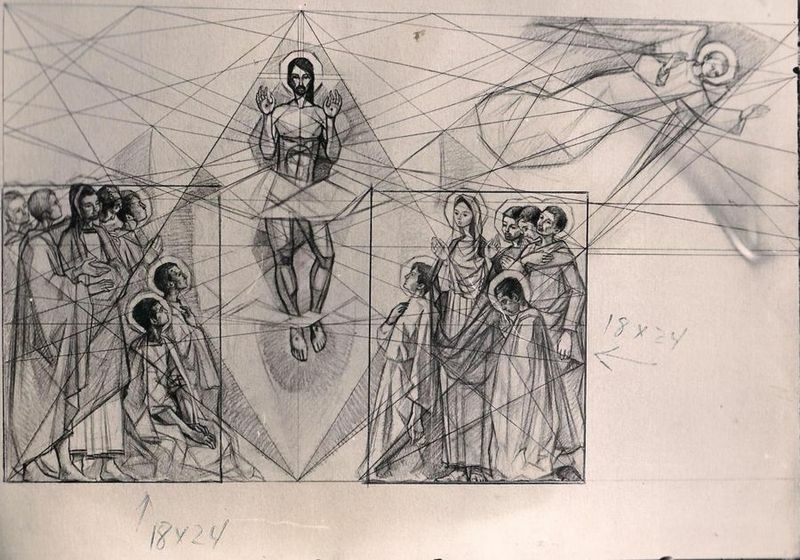 Sketch for the stained glass window in the church of Sant Oleguer, 24x9,5 cm.